This is a practical piece on "how to use your Bible". It's a good idea, because as a reader has noted, some today use the Bible as some sort of talisman or even a roulette wheel. I recall one example of this from Pat Robertson (the very sort of person we should NOT listen to for this sort of advice) who, when trying to decide on whether or not to relocate, asked God to show him and then flipped his Bible open, landing his finger on a passage that was a military instruction to "go north" -- so he relocated. The folly of this method is commonly illustrated by the joke about the man who used the same tactic to decide whether or not to commit suicide, and landed on the passages, "And Judas went and hanged himself" and "go ye and do likewise". It may be best (and here, I am indebted to the form of the reader's questions somewhat) to lay this out in terms of "do" and "don't" admonitions. Memorize texts. As the reader noted, David memorized the Bible so that he would not sin against God. If it's the Word of God, or even if it's just an authoritative text, it makes sense to do as you would for any other text you consider important, and memorize important bits of it. There's a caveat to this, however: It's not enough to simply be able to recite (it never is, any time, for any text) but one must also know what the text means. In fact, I'd say that it's far more important to memorize meaning and message than it is to memorize words. Indeed, if you have a poor "playback" memory (as I do) that may be your ONLY alternative. 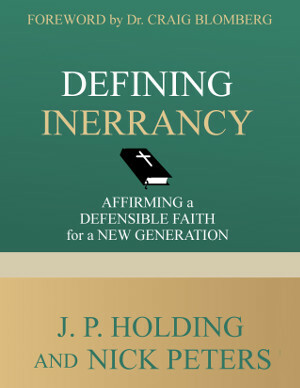 The point is that if you are someone who has arrived at the conclusion that the Bible is an important document, memorization of it by some means (textual or conceptual or both) simply makes sense as a means of use -- and it's also supported Biblically (as noted), and reflects as well ancient use of it and other texts. Check references. As the reader noted, The Bereans used the OT to check up on Paul’s teachings. This is also a common sense point for a Christian; if it's the manual for the faith, you obviously check it when someone makes claims based on it. The caveat yet again is that knowing meaning of texts, and how to interpret, has to be part of this; otherwise we turn into a Thomas Paine who falsely accuses the NT writers of misusing the OT (not being aware of Jewish exegetical methods of the NT era), or into Unitarians who just read the text in English devoid of any context and come up with arguments against the Trinity by using decontextualized proof texts. Investigate context. Read it like a newspaper? No, not as that advice is meant to be taken. It's a complex document with forms ranging from a treaty to Greco-Roman rhetoric. If you don't know who wrote it and why and to what circumstances, it won't speak to you at all (and sadly, many prefer options in our "do not" section below to this sort of sound examination). If you don't have a reasonable grip on this where any passage is concerned, then you should not quote it to others. Some passages admittedly are easier to grasp than others, but the point remains the same, and don't be deceived into thinking you have grasped a passage because you easily came up with a way to read it. What it boils down to is that you don't show a text respect unless you know what it is saying. Interact with others on what you read and determine. Iron sharpens iron. If you may be in error, do this for correction; if you are in the right, you will benefit others. This "sharing" also extends to interaction with those in the know about interpretation and exegesis (commentaries, or at the very least, more than one translation in a pinch). Read it "Christocentrically". Meaning, more or less, recognize God's overall plan, or take a long view; and thus avoid such ideas as, "Boy, OT sacrifice sure seemed like a waste of time." We all bring presuppositions to the text, it's a necessary evil (e.g. the definitions of English words, for instance, would be presuppositions). But the diligent Bible student will, upon reading a Biblical text that conflicts with his presumptions, revise the latter to be in more conformance with the former. Treat it like a Ouija board. This is the sort of thing Pat Robertson did. I'm not talking here about normal reading practice of flipping open just to read, but for the purpose of divining messages from the text. Not to say God can't speak to you like that (it's obviously possible theoretically), but is has no basis in history or precedent. This also goes for when regular reading is done and it is claimed that certain verses "jump out" at you. Perhaps they do -- thanks to conscience rather than God. But don't put the jump ahead of the careful step of exegesis and application. Treat it like a telephone or like the oracle at Delphi. Yes, we do believe that the Bible contains messages received through God's prophets; but what I refer to here is what our reader referred to as reading the Bible as "a means to experiencing a closer relationship with God." This is a symptom of the Christian myth that God is our "buddy". Read it in bite size pieces irrelevant to context. Unless you have some reason to do so, it's not a good idea to divide and read by chapters. The chapters were not in the original, and they only sometimes correspond with proper breaks in the story. Look for good narrative or argumentative breaks instead; that is, unless you're one of those sorts of people (and many are) who can easily pick up reading anywhere you have left off without losing track of context. Feel obliged to read the Bible "in order," or completely over a whole year, etc. Here's some surprising news: You can limit the amount of time spent reading books like Leviticus and Esther. These books SHOULD be read, and understood in their context, but not as often by far as those of more relevance. One of the great mistakes of current Sunday School and devotional literature is to try to fit in these books into reading programs as frequently as more impactful books like Romans. This ends up creating lessons that "force" meaning onto texts where none such is intended (since teachers struggle to make the texts relevant, rather than employing serious contextual study which may not be as relevant). Force meaning into texts. This is a habit of many modern pastors who have no concern for original intent of the Biblical authors. If a text's first context does not support a given view, it ought not be used -- period. Now a caveat here is that it can be said, "Didn't the NT use the OT without regard for context?" Yes, and that was normal exegetical method for the period. The problem is that you need a "license" to exegete that way -- either prophetic inspiration or else an act of God (like the resurrection of Jesus). If you don't have these, tread this territory at your own risk.